/INS. World-class paper-based stationery manufacturer Sinclairs decided to relaunch its Silvine Originals collection – a British staple in the world of notebooks for nearly 100 years. The notebooks, with their iconic bold red cover and midnight blue wreath logo adorning the front, are now back on retail shelves of high end retail outlets and specialist stationers. The paper stock is sourced from the renowned James Cropper paper mill in Kendal, which has been producing speciality paper since 1845. A family-run business, just like Sinclairs in its sixth generation, James Cropper was chosen as the supplier due to its unrivalled expertise in colour development and unwavering standards of its crafted paper products. Simon Medley, Marketing Manager from Sinclairs said: “The Original Silvine notebook is a classic, which many people will remember as a trusted favourite amongst carpenters, architects, designers and shopkeepers – often accompanied by a robust red pencil sharpened with a knife. Hidden in the depths of the Silvine archive, we found samples of these incredible books dating back as far as 1928. It was then we decided to pay homage to what they have stood for over the decades. “From the outset, they were designed for purpose – engineered to perfectly meet the needs of those who used them, whether that was at school or in a carpenter’s workshop, an artist’s studio or a writer’s bureau. And so, the Silvine Originals Collection was born – these bold red books have adorned the pockets, satchels, drawers and shelves of so many for so long. 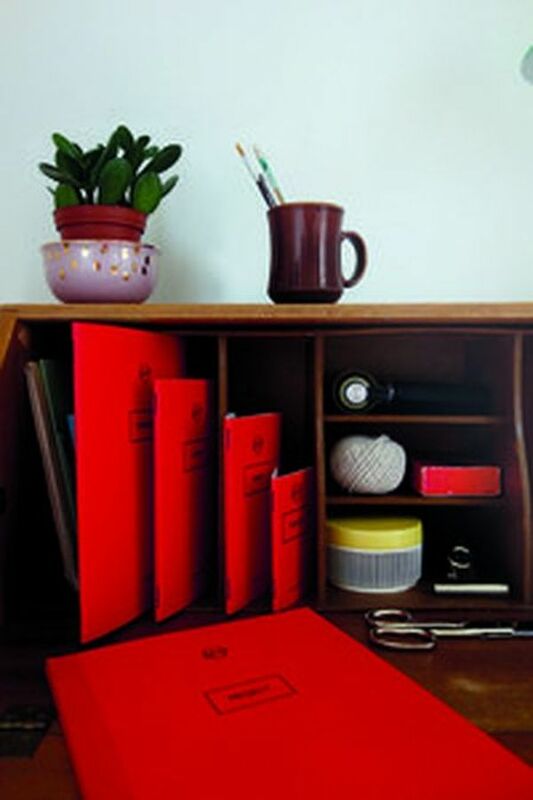 We consider it to be a true British icon, reinvented.” James Cropper worked closely with Sinclairs to colour-match the 1960’s bold red for the new 300gsm covers of the notebooks, staying true to the legacy created by these pioneering books, while the inside is made from 90gsm Natural White Wove writing paper. The subtle corded cover texture very closely matches the cover of the books found in the Sinclairs archive, and together with the delicate off white hue of the book leaves, a joy to write or draw on, create the perfect balance of contrast. The notebooks come in a choice of feint-ruled or squared pages in classic light cyan ink, or simply plain inner pages for maximum creative freedom. 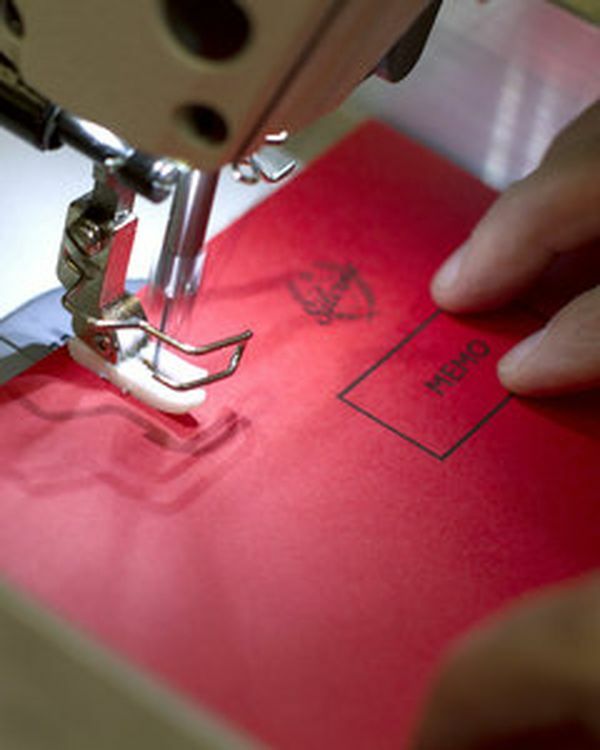 Each notebook is made in the original factory, using machinery that has been making Sinclairs products for six generations. Of course, times have changed and so have some of the processes, but the new Originals collection, with papers tailor-made from James Cropper, retains everything that made it so iconic. James Cropper are prestige paper innovators based in the English Lake District, supplying distinct, custom-made paper products to many of the world’s leading luxury brands, art galleries and designers. Celebrating 170 years of high quality paper production in 2015, the business has been carefully stewarded and nurtured by six generations of the Cropper family and is renowned globally for individual expertise in colour, dedicated responses to the most challenging custom projects and award-winning commitment to the highest standards of sustainability.